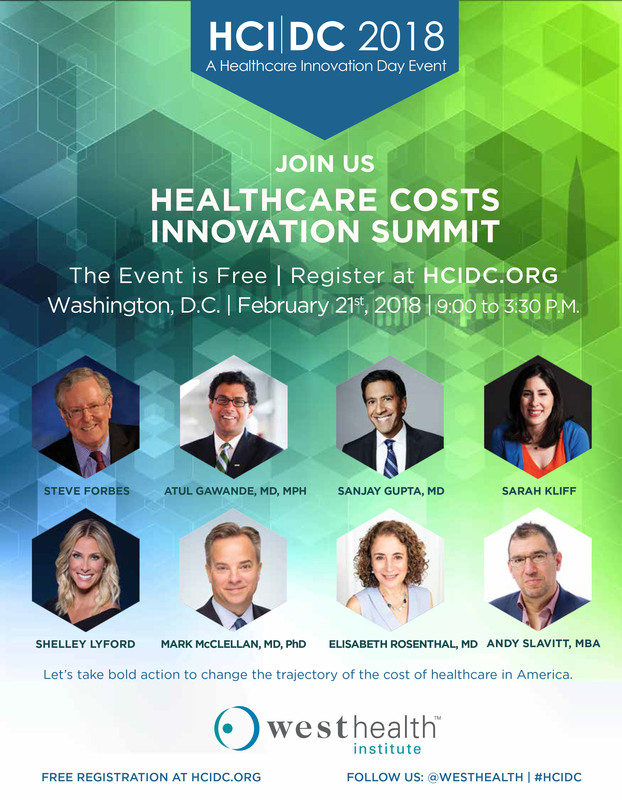 The Feb. 21 summit will bring together hundreds of leaders and representatives from every sector of healthcare to further adoption of models of value-based care, pricing transparency, the role of patients and providers in driving down costs, and a path forward to improving efficiencies in the healthcare system. The goal is to spotlight the best ideas, innovations and practical policy solutions that slow the unsustainable trajectory of healthcare costs in America. The U.S. spends more than any other country on healthcare, yet lags behind other developed nations in critical health outcomes including longevity, infant mortality, and overall quality of life. According to the Centers for Medicare & Medicaid Services (CMS), national health spending was $3.3 trillion in 2016 and accounted for 17.9 percent of the Gross Domestic Product (GDP). An estimated one in three Americans report having difficulty paying their medical bills, which is one of the leading causes of personal bankruptcy. Rising costs have made healthcare extremely expensive, leaving patients with less coverage, more out-of-pocket costs and rising premiums. The Summit will be held from 9 a.m.-3:30 p.m. on Wednesday, Feb. 21, 2018 in the amphitheater at the Ronald Reagan Building and International Trade Center in Washington, D.C. The event, which will be webcast online, is free and open to the public. Registration is required and seating is limited. For more information or to register to attend or watch online, visit http://hcidc.org/. West Health will publish, distribute and support implementation of the recommendations from the Healthcare Costs Innovation Summit with elected officials, policymakers, health systems, insurers and other stakeholders through an ongoing collaboration between West Health summit participants. Visit hcidc.org for more information and join the conversation on Twitter using #HCcosts and #HCIDC.